As U.S. healthcare expenses continue their long-term climb – annual spending per capita rose from $3,788 in 1995 to $9,403 in 2014, according to the World Bank – providers as well as payers keep exploring fresh approaches to care delivery and reimbursement, in the hopes of better correlating cost with value. The most notable new model is value-based reimbursement (VBR), which incorporates practices such as pay-for- performance and case-based payments as alternatives to the traditional fee-for- service (FFS) paradigm. But what specific infrastructure is needed to make VBR work? On a technical level, business intelligence tools help aggregate and analyze the clinical, financial and operational data on all patients within a specific population, painting a comprehensive picture of them within the healthcare environment at-large. This information can be cross-referenced during the monitoring of serious conditions, such as the chronic illnesses that account for the bulk of all health-related spending. The Centers for Disease Control and Prevention estimated that they constituted 86 percent of all such expenditures in 2010. With more insight into patients’ histories and current responses to treatment, providers can craft appropriate plans of action in each case. This practice should lead to clearer measurements of care value, alongside savings for patients and insurers and a valuable repository of data for future use by providers. However, since PHM and health system interoperability go hand in hand, it is difficult to implement one without the other – and health systems are much less connected than the corresponding critical infrastructure in other industries. Some of the major impediments include uneven adoption of electronic health records (EHRs), minimal incentives for cooperation between providers, limited resources for data gathering at rural health practices, and outdated IT assets. Healthcare IT systems needs improvements to make them more interoperable. The stakes are high for overcoming obstacles on the way to improving general interoperability and PHM. For starters, poorly correlated systems result in communication mishaps and bad outcomes for patients: the majority (60 percent) of all medication errors occur during transition periods, when patients are moved between health systems, according to the National Transition of Care Coalition. Re-hospitalization is often required to correct the error. True interoperability would curb these incidents by facilitating seamless data exchange between two or more systems. The exchanged information would be useful for all involved providers and allow for benefits such as the reconciliation of inconsistent EHRs. Foundational Interoperability (basic): A system can accept, but not necessarily interpret, data from another source. Structural Interoperability (intermediate): Data is transferred between systems in accordance with defined formatting standards, to preserve its original meaning and allow for some degree of utility. Semantic Interoperability (highest): Advanced exchange is possible between two or more systems, such that data can be interpreted by all of them, even in situations in which EHRs may be managed by different technologies. The higher the interoperability level, the better the quality of the information management, not to mention superior safety for patients and lower costs across the board. A CRICO Strategies report revealed that communications errors, including EHR issues, were behind almost one-third of malpractice suits filed between 2009 and 2013. In this context, it is no surprise that data integration and exchange was a priority for 14 of the 17 PHM programs recently assessed in a study from AcademyHealth and the Office of the National Coordinator for Health IT. Still, healthcare is behind the curve in overall data interoperability. 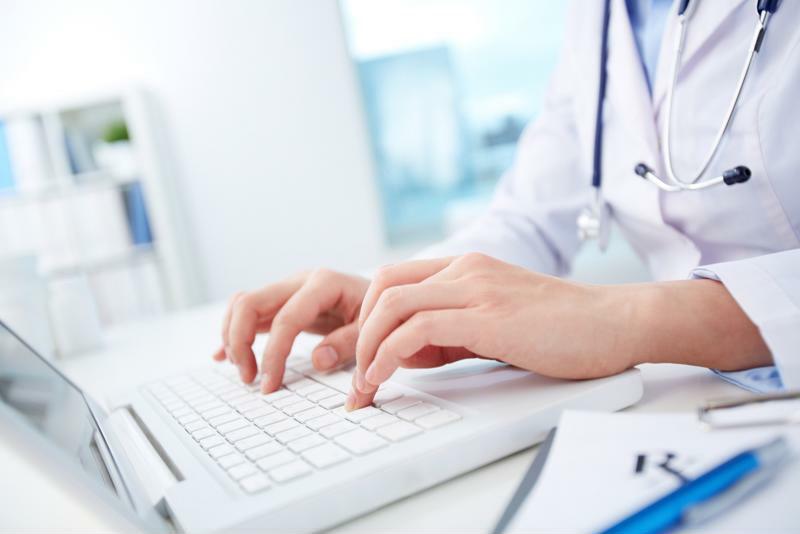 The costly inconsistency of EHRs is reinforced by long-standing data-blocking practices that impede the flow of up-to-date information. Recent federal legislation, most notably the 21st Century Cures Act passed at the end of 2016, has honed in on this issue. That law offers more rigorous definitions of both “information blocking” and “interoperability” than were contained in previous statutes. It also goes beyond the landmark Health Insurance Portability and Accountability Act (HIPAA) by mandating, instead of merely allowing, data sharing to improve treatment. Penalties of up to $1 million per incident can be levied against violators of the act, although rulemaking related to these fines is in progress. Meanwhile, changes to the Medicare Access and CHIP Reauthorization Act of 2018 (MACRA) highlights how small and rural practices need more help in coordinating data exchange. New “virtual groups” for shared reporting on Medicare performance measures have been set up to address this challenge, but they are unproven so far, and concerns remain about finding reliable partners and coordinating workflows. For all providers, the shortcomings of healthcare IT systems remain another significant burden on interoperability efforts. Outdated software creates redundant manual bookkeeping while cordoning off key data from other systems. A Ponemon Institute Survey once found that outdated technology, combined with HIPAA requirements, cost hospitals more than $8 billion annually. Part of this cost is related to reduced time for doctors to treat patients, since they have to devote more effort to wrangling with communications tools. Such inefficiency could be addressed through upgraded interoperability and PHM processes. As healthcare interoperability becomes a more crucial solution to improving care, freeing up physicians’ time, and reducing the costs related to medical errors, more creative and sustainable solutions will prevail. AMR cuts to the heart of the matter in its mission statement – we believe every patient should receive quality healthcare- and this technical solution combined with other innovations throughout the industry can make interoperability and better care into realities.